All our attention to detail is about more than looking good. It's about creating a better driving experience. Design inspired by nature. And better for it, too. 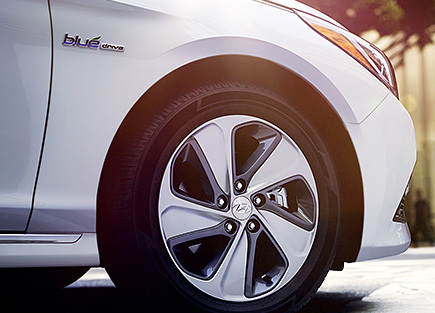 We incorporate the energy and movement found in nature's contours into the silhouette of every Hyundai vehicle. The dynamic curl of an ocean wave. The way the wind sculpts a snow bank. The flowing lines of canyon walls. It's a style we call Fluidic Sculpture. And its benefits go far beyond striking good looks. By using natural forms, we've actually made our vehicles lighter, more aerodynamic, more energy efficient. It's the least we can do to pay Mother Nature back for giving us such elegant design inspiration. An inspiring evolution of design. Fluidic Sculpture 2.0 is a confident evolution of the original Fluidic Sculpture design language. 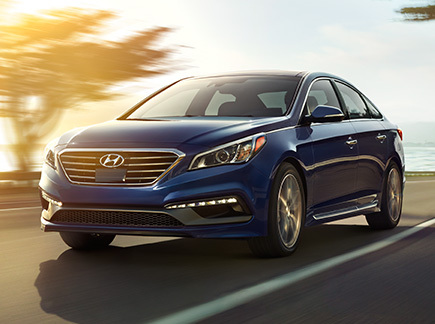 This updated design viewpoint perfectly expresses the premium look and commanding presence seen in the newest generations of both the Sonata and the Genesis. Both of these beautiful and purposeful shapes exhibit remarkable aerodynamics and more taut, modern lines that reflect improvements in craftsmanship, refinement and driving dynamics. Our cars come with more room, value and bragging rights. We task our engineers with designing vehicles that are a class above. That means you get more interior space and higher-class features in a much more affordable package. Our engineers are so good at finding ways to make the interiors of our cars so spacious that the EPA classifies them as a class above what they actually are. And all that space enables us to add features normally found in vehicles that cost much more. 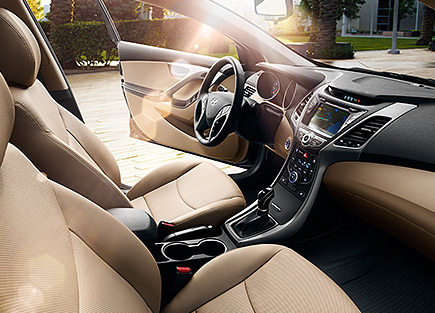 Take our compact Elantra, which has the interior space of a midsize car and is packed with features like front and rear heated leather seats and a seven-inch touchscreen navigation system. We don't just design cars. We engineer ideas. And our concept cars give everyone at Hyundai the opportunity to explore, discover and think far beyond what's possible today. Here are the latest visions of our automotive future, straight from the innovative minds at Hyundai. Protecting the environment one innovation at a time. We challenged our engineering and design team to find new ways to lower our impact on the environment. They responded with a host of innovative and sustainable energy solutions that have formed the basis of our Blue Drive® program. They invented an eco-driving system that lowers fuel consumption, and an eco-telematics service that guides drivers to travel using the most energy-efficient route. And they created a regenerative braking system that can capture and recycle energy created during deceleration. Energy savings like these add up. 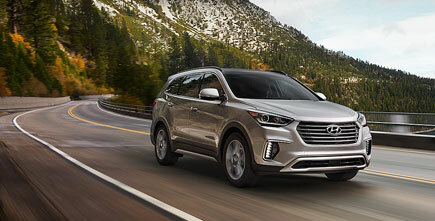 Hyundai is quickly becoming one of the industry's most fuel efficient companies.